How does an investment banker also become a carabao dairyman and succeed in both occupations? Well, Danilo V. Fausto did it the hard way, just like how he developed his expertise in serving a variety of clients in investment banking as well in packaging and flotation of municipal bonds. 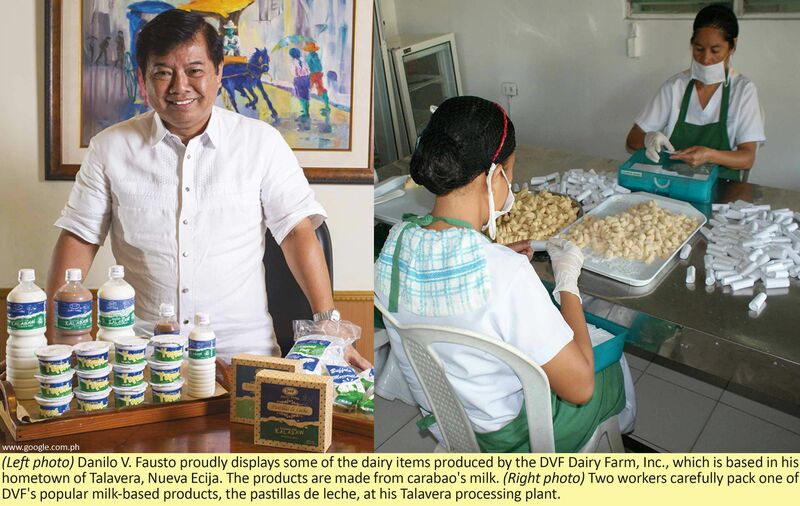 Spurred by a social purpose to help his fellow Novo Ecijanos, Fausto, known to friends and clients as “DVF”, spearheaded the establishment of the Talavera Dairy Cooperative, Inc. in 1992 in his hometown of Talavera, Nueva Ecija, which is about two hours car ride from Manila via the North Luzon Expressway. Through this coop, he envisioned opening more livelihood opportunities for small-hold farmers. In 2000 he established the DVF Dairy Farm, Inc. to complement the coop’s operations. From a single proprietorship venture, the farm eventually transformed into a business corporation, which now helps hundreds of dairy farmers engaged in carabao-based dairy enterprises not only in Talavera but also in nearby towns. DVF’s enterprise now grosses sizable monthly sales of various carabao milk-based dairy products. This feat also translates to substantial additional income for the dairy farmers who supply the needed fresh carabao milk, the milk collectors, the workers who tend the animals (including those who cut the grasses that are fed to the dairy carabaos), the dairy plant workers and those who deliver and sell the dairy products. Already, he is now setting his sights on replicating his experience in different parts of the country. “I find the dairy business not only a good venture but also as an opportunity to help the farmers in our hometown and nearby areas to double or triple their incomes,” he declared. It all started in 1987 when DVF bought 10 Murrah buffaloes, which he knew was capable of giving more milk and meat than do native carabaos. DVF persisted though and found ways to solve the animal nutrition problem. His animals eventually regained and improved their health. His stocks soon increased in number and farmer-neighbors had another view of what he started. They wanted to borrow some of his animals to take care of and enjoy some benefits from them. It was not far-fetched to think why the farmers wanted to milk and tend some of DVF’s carabaos. He was collecting eight liters of milk per animal, which he sold from house to house in Talavera with the help of two aides. Then with assistance from the staff of the then Philippine Carabao Research and Development Center (PCRDC), he started to produce pastillas de leche (milk candies), which was received very well by the consuming public in his town and his friends in Manila. It was then that he thought of encouraging some farmers to organize and establish the Talavera Dairy Cooperative. He joined the interested farmers in the orientation and training for prospective recipients of the 25-dairy carabao module provided by the Philippine Carabao Center (PCC). The cooperative started to produce milk and was looking for an expanded market where it could sell its milk. That was the time he put up the DVF Dairy Farm, which began producing milk products carrying the brand of the DVF Dairy Farm, “Gatas ng Kalabaw”. Back then, DVF didn’t have a processing plant and equipment. Putting up a processing plant requires an investment of quite a sum. Since, DVF had only rather small cash on hand at that time, he opted to work within his available budget. “I bought pieces of equipment and materials for the processing plant, and for the selling of the products,” he said. These included a drum, which he cut into two for his materials for pasteurization, an industrial burner for heating water, small bottles, caps for the bottle, bladder bag, sealer, and a pedal-driven tri-bike for the delivery of the finished products. He pasteurized milk using the equipment and materials bought, employing the double-boiler process to make sure that the nutritious elements in the milk would not be lost. To expand the market, he convinced the leadership of Nueva Ecija province to conduct a milk feeding program for malnourished children. “Our then fledgling outfit also ventured in making cheese products and in producing flavored milk,” he recalled. To broaden further his knowledge and skills in the development of other milk products as well as running and managing a dairy business, DVF continued his attendance in seminars and training conducted by the government, particularly those offered by the PCC and National Dairy Authority (NDA). His participation in those seminars and trainings made him decide to upgrade his pieces of equipment used for the production of milk products. In time, he bought top-of-the-line equipment that included homogenizer, storage tanks, batch pasteurizers, filling tank made of steel and others. These equipment gave impetus to the improvement of the quality of his milk products. He made sure that strict procedures were followed in the testing, pasteurization and homogenization of the milk delivered by the farmers to his plant. The packaging of his products vastly improved, too. His current product lines include pasteurized and flavored milk (choco, buko-pandan, melon); plain yogurt, mango-flavored yogurt, creamy and crunchy yogurt with nata de coco, and non-fat yogurt; kesong puti (cottage cheese), queso blanco, mozzarella cheese; pastillas, espasol, and milk candies. Most of these products are sold in various outlets in Metro Manila, Pampanga and Cebu while some are retained in the company’s plant and display center in Talavera. Starting in 2001, DVF’s sales have been growing by leaps and bounds. DVF revealed that the company plans to export its products to Hongkong soon. As a companion project, he continuously provides help to the farmers through the “paiwi system”. Once the animal lactates, the sharing is 50-50 in milk sales. 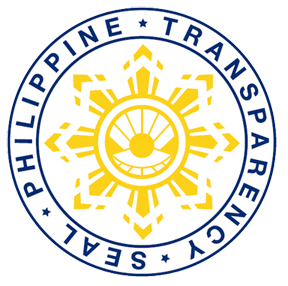 He has likewise extended the system to Overseas Filipino Workers (OFWs) who are encouraged to invest in procuring dairy carabaos and entrusting it first to the company which takes care of the animals for them. Later the company looks for farmer-partners of the project. This “investment in dairy carabao” scheme has the full support of the chair of the Economic Resource Center for Overseas Filipinos (ERCOF) Philippines, Inc. ERCOF, a non-profit organization registered with Securities and Exchange Commission (SEC), “provides programs and services that will enable overseas Filipinos to utilize and maximize their resources, skills, technologies, talents, human capital and other resources for more productive use in the migrants’ communities in the Philippines and overseas.” About P2 million has now been invested by the OFWs in the dairy carabao project. Many of these OFW-investors are now enjoying the benefits of carabao dairying. After two decades in the business of carabao dairying, DVF is venturing into replicating his experience in Nueva Ecija to other provinces. With his son Emmanuel, assisting him, he will soon go to Pampanga, Pangasinan and Zambales. “We will also venture in other provinces in the country later on,” he said. He added that along the way, further improvements in what he has started will set in. “We will continue what we have started. We hope that through this, the dairy industry in the country will become robust and as such we will be able to lessen the volume of milk and milk products that we import. We are hoping that our efforts will contribute to the stated mission of our company,” DVF emphasized. There’s no question about it: Danilo V. Fausto, investment banker-dairyman, backs his words with action.